Night skiing is awesome, and I'm jealous of anyone who gets to experience it regularly! It's not available at all ski resorts, but it's always a real treat to experience where it is available. If you are preparing to skiing at night or with low-light in general, then it's important that you have the right eye-wear. With drastically reduced lighting, you shouldn't wear the same pair of ski goggles that you use on sunny days. You need something that's going to protect your eyes from ice and snow but also allow enough light in so that you can see where you're going. Visible Light Transmission, often abbreviated as VLT, is a percentage that represents how much light the lenses on your goggles let through. 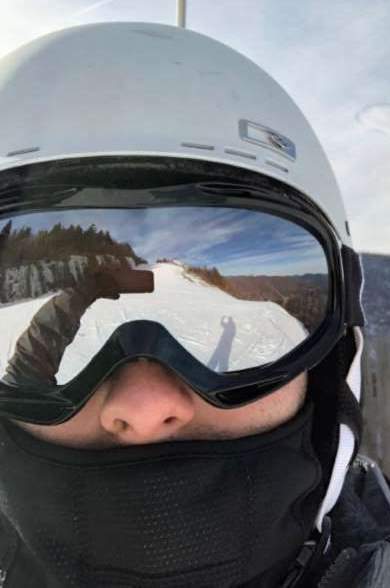 For skiing on a really sunny day, you'll find dark-tinted lenses. Some lenses even appear black to our eyes -- like a pair of sunglasses you'd see out on the street. These lenses are designed to let in 7.5% of visible light or less. For night skiing, people usually prefer yellow or clear goggles. These allow up to 99% of visible light to come through, allowing you to see the greatest amount of detail. The clear goggles will let the most light in, but some people find that yellow or other lightly tinted goggles can help with seeing contrast. All the goggles on this list are going to have some form of ventilation -- most do nowadays. Ventilation allows cold air to come into the goggles and warm air to leave. This keeps the temperature inside and outside the goggles as similar as possible and will prevent fogging. Not all goggles are going to be 100% fog proof. In fact, even the best and most expensive ones can get really foggy if you treat them the wrong way. Check out our guide to preventing goggle fog to learn more. Dual-pane lenses are similar to double-pane windows. They create a layer of air between two sets of lenses in the goggles, which helps regulate temperature. It's another measure to keep the outside and the inside of the goggles at a similar temperature, which helps prevent fog. The ability to swap out your lenses versus having two pairs of goggles can be a gift and a curse. It's nice because you only have to worry about one pair and makes for lighter packing. You put your day lenses on in the morning and swap out your clear ones at night. The problem becomes if you fall and get moisture into the padding of your goggles. Because moisture creates fog, the best course of action is to let them dry naturally. In this case, it's nice to have an extra pair instead of an extra set of lenses to swap out. For the average skier, the clear versions of the basic OutdoorMaster goggles are going to be a great choice. With their clear lenses, you're going to get pretty much the same vision as if you were wearing no goggles at all -- which is what you'd want at night. At the time of writing this, they're affordable enough to leave most people with extra room in their budget for a backup set. By picking up a set of these clear goggles and then another affordably-priced orange set, you're going to be covered for lots of different conditions. Sizing: One-size fits most. Highly adjustable to fit men, women, teens, and kids. Although these aren't typically marketed as "ski" goggles (the MX means motorcross), many skiers have put the Oakley O-Frame Goggles to use at night time. The ventilation system and coating are also reported to do a great job at preventing fog. They are also designed with triple-layer foam -- a mark of higher end goggles. The outer layer of foam is a fleece-material, which is made for wicking away sweat and moisture and is something to consider if you're the type of person that sweats a lot when they ski. Bolle is a company that's been providing sports eye-wear for over 130 years. As such, you can usually trust that they're going to deliver a high-quality product. They make several different versions of these goggles (we've featured the clear ones here for low light), and they tend to be priced pretty affordably. That means just like the OutdoorMaster goggles, you might be able to swing two pairs for different lighting conditions. If there's a lot of fog and you need a little bit of extra contrast. If the ski resort is well lit at night and you don't need something that's 100% clear. That being said, this pair of Gonex goggles is going to be ideal for cloudy and dark days, but also on lighter nights. Lens Swapping: Yes, but the company doesn't seem to sell spare lenses anymore. For one, they come with magnetic swap out lenses. This means you can change colors in no time at all -- they snap in and snap out. Two, they have spherical, frame-less lenses for a wide and uninterrupted field of vision. The light green lenses provide a high 80% VLT while still having the color tint to give you some extra contrast. If you had to only get one pair of goggles for all your skiing, the OutdoorMaster PROs along with a spare, differently-colored lens make an excellent choice. For most people, the majority of your skiing is probably going to be done during the day. That being said, there's no need to worry about getting the absolute best night-time lenses or goggles. Any of the options on the list, or another cheap and clear pair that you can find at a shop, should do fine. However, if you have to only get one pair, then get something that can swap out lenses quickly and easily. It's worth spending a bit more on something if you know you're going to be using it for several different lighting scenarios. It can't be reiterated enough that fogging your goggles can't ever be 100% avoided. Just in case you missed it above, we highly recommend reading: 13 Sure Fire Ways to Prevent Your Goggles from Fogging.